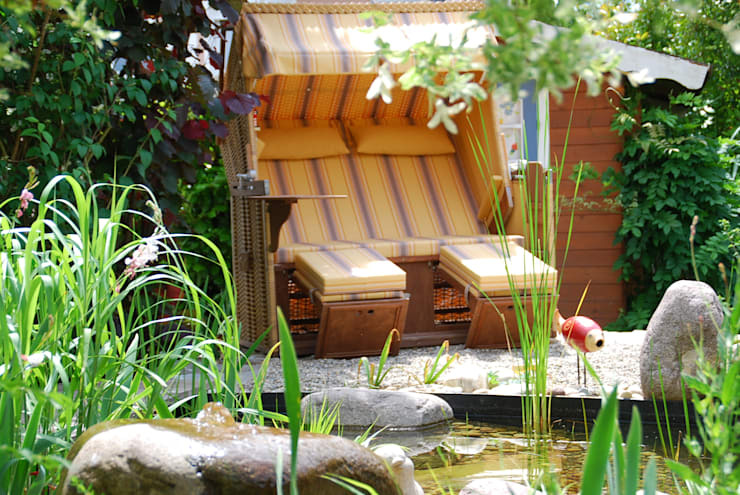 If you're looking to improve your garden then installing a seating area could be the ultimate solution—it's relatively easy and equally low maintenance. The average homeowner has probably spent a great deal of time and effort to ensure that their home is amazing, from choosing the correct colour scheme, style, decor, design features to tracking down accessories that will make their interior attractive and unusual. However, the garden of the home may have been forgotten or neglected during this process. 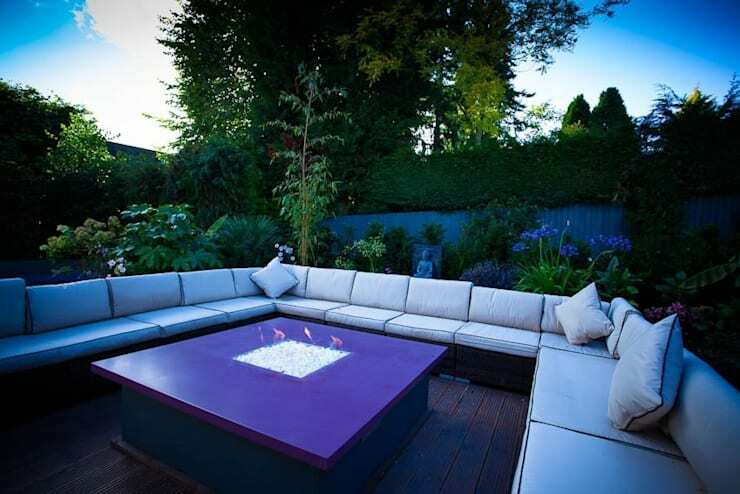 While home decor is an ongoing development, if your garden area is spacious, it can be an extension of the interior! 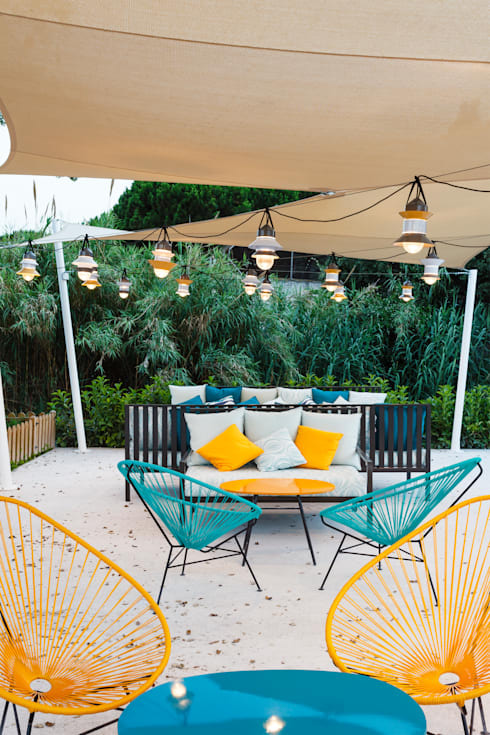 These 10 amazing ideas compiled by the homify team, will have you rethinking your boring and dull garden in no time, adding some comfortable seating regardless of whether your style is chic and modern, or rustic and vintage. 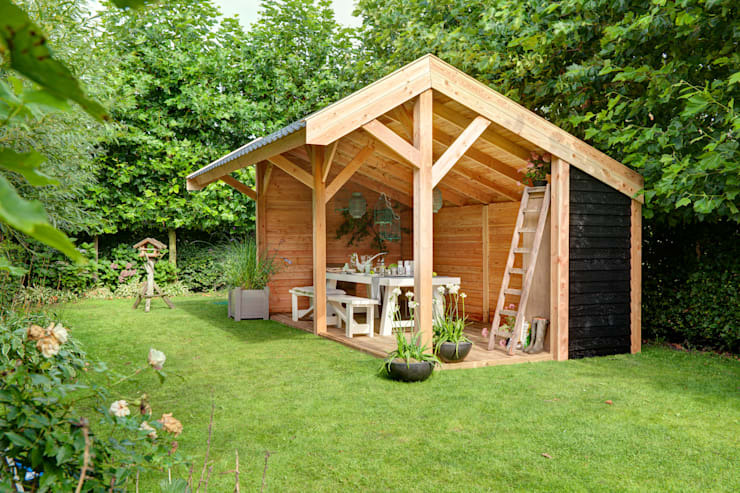 Who says a shed can only be used to house gardening tools and appliances? This modern take on the tool shed, sees two less walls to the wooden outhouse. The space is now naturally well-lit and enjoyable as an outdoor dining area, maybe even just for tea? The roof still shields users from the cold or heat and it can be enjoyable at any time of the year. 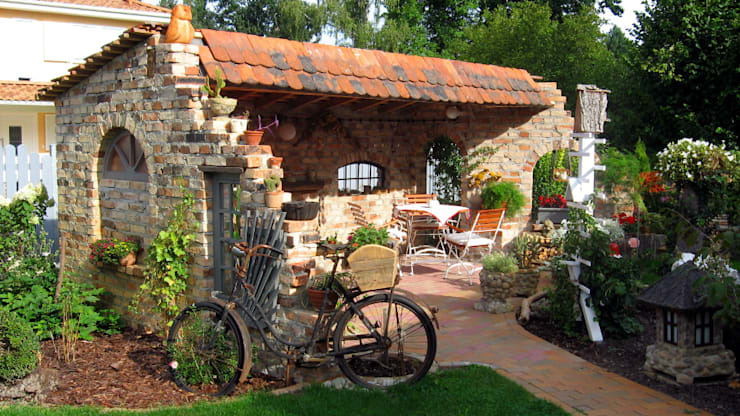 So if space isn't a problem in your garden and you have an old shed, then how about giving it some maintenance and re-purposing it as an outdoor seating area? If rustic is more your style, then this beautiful stone cottage that is now a comfortable outdoor seating area, might just be perfect! The location allows for picturesque views of the luscious greenery, while the stone walls are so traditional yet stylish. Create the epitome of cosiness with some relaxing seating space, pillows and a large sofa. Enjoy this area at sunset with some candles and have your very own camp area! It's a great and stylish decor option for any garden, and if you already have an unused cottage on your property, then half your work is done. If colour is more suited to your personal style, then this fresh take on a seating space is great for you. It's an outdoor seating space that is bathed in vibrant colours, with terrific turquoise and yellow being the dominant hues. Although they are summer colours, that doesn't mean the colours cannot be stylish regardless of the season. The benches and chairs surrounded by lush greenery and all-white floors creates a different, yet attractive decor! The hanging lights provides an intimate and romantic ambiance that is absolutely electric! Forget the colour spectrum, this colour combination definitely works! This seating area is great! It has a style that is reminiscent of the party island, Ibiza! 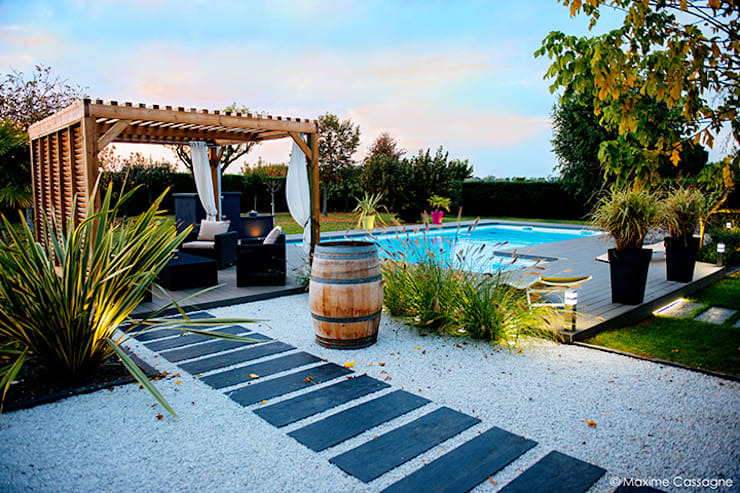 The atmosphere here is amazing from the poolside location, to the wooden pergola and even the simple greenery in the garden. This stunning seating space was designed by the team at E/P Interior Design. 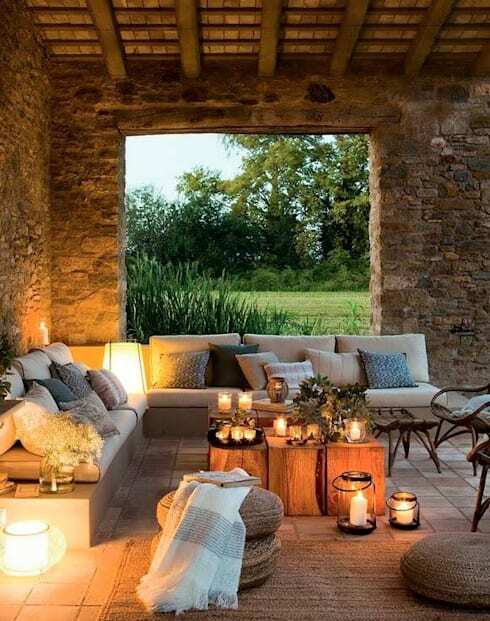 Remaining in the Mediterranean now, we catch a glimpse at this stunning Mediterranean style seating area. The structure is natural stone, providing protection from the wind and the harsh sun, while the panel roof is quite popular in Germany too. The rustic decor is complete, through the addition of the bicycle and terracotta pots for extra charm. This idea is a lot more modern. The combination of black, brown and grey creates a simple design, while the geometric lines adds a timeless look. The roof is especially interesting with a meadow design, it's definitely whimsical in style! Have you see the suspended table and chairs? Now that is unusual. If you are the ultimate social butterfly, then you will probably expect a lot of guests! This oversized sofa is great for those nights that never seem to end with family and friends. The sofa is situated around a large rectangle table that has an ethanol fireplace in the middle, so cosiness is never too far away either. This covered deck area and open terrace is the best of both worlds in any garden. Here you can choose to enjoy the sunshine or doze off in the shade at will? The use of darker wood and lighter textiles is an interesting design feature, but definitely adds to the stylish appearance. Space is a problem, especially in a modern home, so this northern German beach chair for sunbathing is the perfect alternative to the usual large outdoor chairs. It may not be a new idea, but it still is cool and even has storage space for sunscreen. The pattern may be rustic, but that's pretty much what we love. 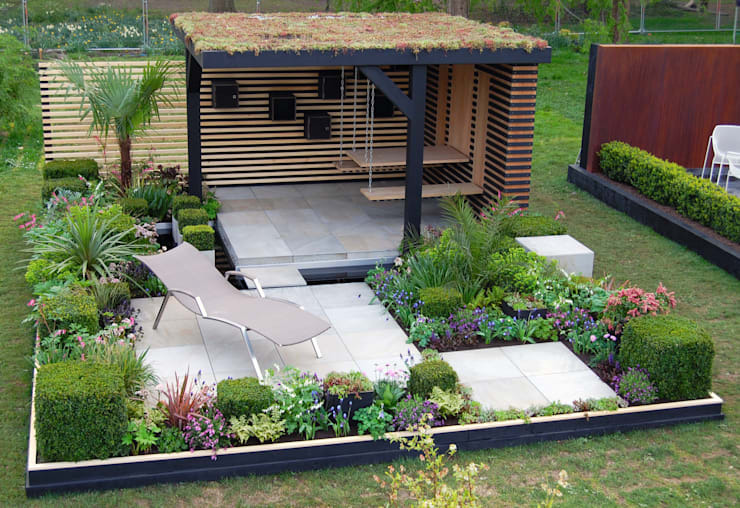 If you have the luxury of space in your garden, then how about creating a fantastic sunbathing area such as this… reminiscent of the orient. The gorgeous floating canopy definitely adds stylish flair. Relax and read a good book or catch up on some videos at your leisure surrounded by the beauty of nature! How about A beautiful pergola whatever the weather? 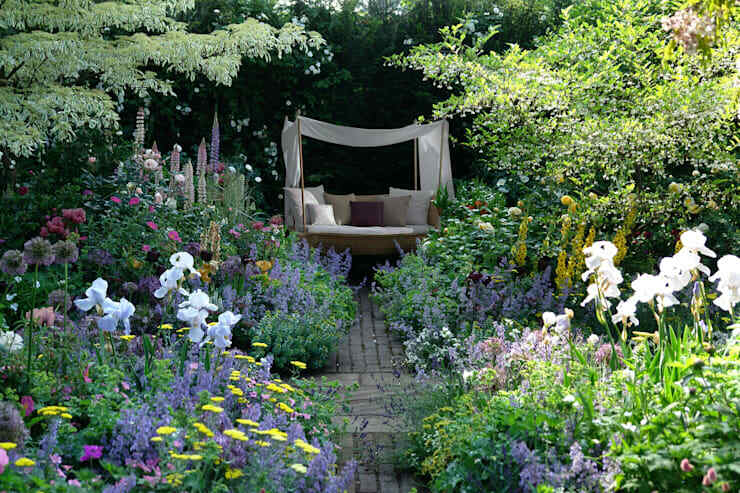 Have you included fantastic seating into your garden?